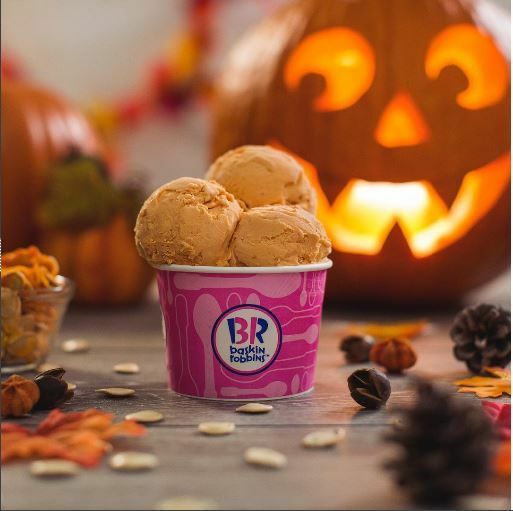 It is only fitting that this month’s Celebrate 31 promotion take place on October 31st (AKA Halloween), when all regular and kids-sized scoops are available for $1.50 at participating Baskin-Robbins shops nationwide. This celebration is a great time to enjoy seasonal flavors like Trick OREO® Treat and Pumpkin Pie. If you’d prefer to sip your scoop, you can enjoy a Small Cappuccino Blast® frozen coffee beverage for $2.99 through October 31st. Our Cappuccino Blast can be customized with any Baskin-Robbins ice cream flavor, including our seasonal ice creams. 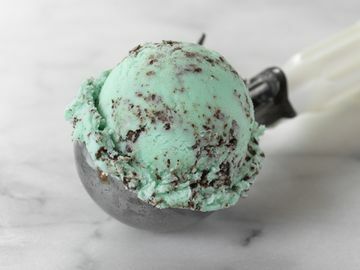 Looking for something sweet to bring to that big Halloween party this weekend? The Hauntingly delicious Fang-Tastic Monster Cake is a friendly and fuzzy monster cake that can be customized with a guest’s favorite ice cream and cake flavors. It’s sure to be a hit on any Halloween party dessert table.. Additionally, through October 31st, guests can enjoy a coupon for $3 off any cake purchase greater than $15 through the Baskin-Robbins Mobile App. Finally, if you’re looking for something more candy focused, give Baskin-Robbins’ new Trick or Treat Polar Pizza® Ice Cream Treat a try. This new Polar Pizza features Made with SNICKERS® ice cream piled high with classic Halloween candies. Our range of cakes and Polar Pizza treats can be pre-ordered for Halloween parties either in-store or online at www.baskinrobbins.com/onlineordering. How will you choose to enjoy Celebrate 31 and Halloween? Let us know on Facebook, Twitter, and Instagram!